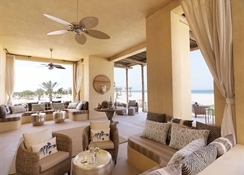 Anantara Al Yamm Villas resort is located just 8km off the Abu Dhabi Emiratesâ?? western coastline and 250km from Abu Dhabi International Airport. Al Yamm comprises of 30 villas, 15 of which are located on the beach, and another 15 among green mangrove forests, which overlook a beautiful salt water lagoon frequented by wild flamingos. Each villa features one or two bedrooms, and a private pool, and are fully equipped with air conditioning, luxury beds and linen, and all other comforts one would expect from a 5-star resort. Share a delightful meal at our signature Italian restaurant, or Dine by Design in a dream setting with a private chef and butler. One can Broaden culinary horizons at two nearby sister resorts, where a tantalising dining choice includes authentic Middle Eastern flavours, grilled seafood specialties and distinctive African dishes, served in inspirational settings. Discover the adventures and diverse wildlife that awaitsthe guests on an island of surreal beauty. Explore the Arabian savannah on nature and wildlife walks or dive beneath the surface to reveal another world of colourful aquatic life. Anantara Al Yamm Villas offers a wide range of activities for adventure seekers and provides the ultimate resort facilities for those who wish to simply relax and soak up the sun. Exotic indulgence amidst a lush desert oasis. Treatments inspired by ancient Bedouin culture and desert traditions. Therapeutic ingredients sourced from local surroundings and tradition. Indulge in an assortment of invigorating rituals and modern-day spa treatments at Desert Islands Resort & Spa by Anantara for complete wellness of body, mind and soul or take advantage of our Al Yamm Spa Villa. The hotel is 250km from Abu Dhabi International Airport. Anantara Al Yamm Villa Resort is an oasis of serenity surrounded by nature and free-roaming wildlife. 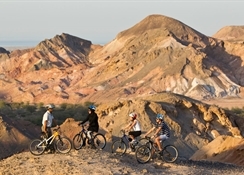 Visitors can explore the majestic Sir Bani Yas Island- famed for its natural rugged beauty- and take a dive beneath the surface of the waters of the Arabian Gulf to take in the kaleidoscope of marine life. The resort was built with sustainable design features that perfectly complement the island's delicate ecosystem. 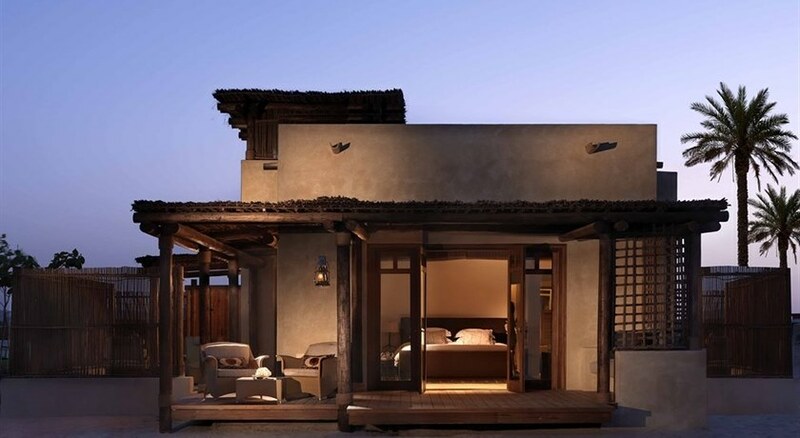 Inspired by the traditional architecture of Arabic fishing and pearl diving villages- these luxury villas in Abu Dhabi offer luxury amenities in a private setting with unmatched comforts. Guests might find tranquillity at Anantara Spa- relish exceptional Italian-inspired meal- and experience a wide array of activities set against a backdrop of an island paradise. Part of the Desert Islands Resort & Spa by Anantara, this upscale all-villa resort lies amid savannah in the wildlife-rich Sir Bani Yas Reserve. 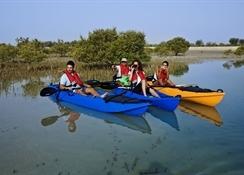 It’s 10 km from Sir Bani Yas Island Airport. Please note : that effective January 2015, the special boat transfer request beyond the boat schedule is chargeable at AED 1,500++ per boat per way, subject to 10% service charge and 6% tourism fee. If the guest is booking a private boat, we will also confirm a private transportation from Jebel Dhanna Jetty to Sir Bani Yas Island and vice versa Extra bed cannot be placed in any type of villas. Please note : No Check Out Policy on 31st December 2013. swimming pool will be closed for maintenance from 16th Feb - 06th March 2014. Alternately, the guests may use the pool of Desert Islands Resort & Spa by Anantara wherein complimentary transfers from/to Al Yamm will be arranged FLIGHT FOR FREE : Validity: 01 Nov 14 to 31 Oct 15 Complimentary Return Rotana Jet Flights Minimum 5 consecutive nights stay at Anantara Al Yamm Villas. Free return Rotana Jet flights to Sir Bani Yas from Dubai (International Airport T2) or Abu Dhabi (Al Bateen Airport) for maximum of 2 persons. Promotion is valid for basic board (BB) only. Can be combined with the Early Booking promotion only. ISLAND COMBO : 30% rate reduction - Minimum 5-night Combination Stay Validity for stays between: 01 Nov 14 to 31 Oct 15 Combined minimum 3 consecutive nights stay at Anantara Desert Islands Resort & Spa and minimum 2 consecutive nights stay at Anantara Al Yamm Villas. Promotion is valid for basic board (BB) only. The rate reduction is applicable to the extra bed charges in Anantara Desert Islands Resort & Spa and in built-in sofa bed charges in Anantara Al Yamm Villas. 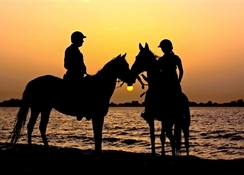 ANANTARA COMBO PACKAGE 2: 30% rate reduction - Minimum 5-night Stay Package. 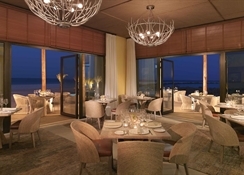 Anantara Al Yamm Villas combined with Anantara Eastern Mangroves Hotel & Spa. 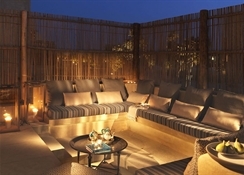 Combined minimum 3 consecutive nights stay at Anantara Al Yamm Villas and minimum 2 consecutive nightâ? ?s stay at Anantara Eastern Mangroves Hotel & Spa.Promotion is valid for basic board (BB) only. The discount is applicable to the built-in sofa bed charges in Anantara Al Yamm Villas and in extra bed charges in Anantara Eastern Mangroves Hotel . The discount is applicable to the built-in sofa bed charges in Anantara Al Yamm Villas and in extra bed charges in Anantara Eastern Mangroves Hotel & Spa Validity for stays between: 01 Nov 14 to 31 Oct 15. Meal Supplements - Per guest, per day Half Board Premium (Lunch or Dinner) *Restricted for lunch only on 31 Dec 14 Full Board Premium(Lunch and Dinner) *Not applicable on 31 Dec 14 Half Board Christmas (Lunch or Dinner) on 24 & 25 Dec 14 Full Board Christmas (Lunch and Dinner) on 24 & 25 Dec 14 New Yearâ? ?s Eve Gala Dinner 31 Dec 14 (Compulsory) Please note rates and conditions are not available to U.A.E residents.